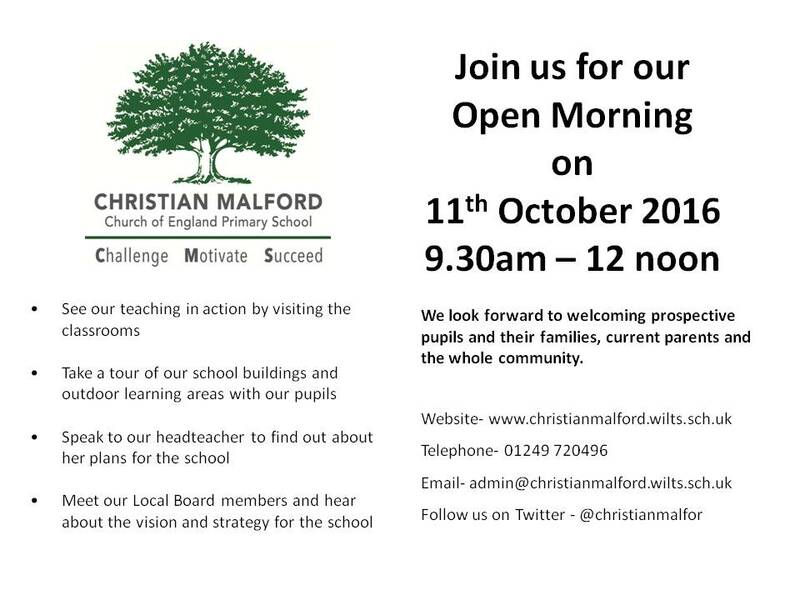 We are holding an Open Morning on 11 October 2016 between 9.30am and 12 noon. We would love to show you our school in action. If the date is not convenient for you please call 01249 720 496 to arrange an alternative date and time.